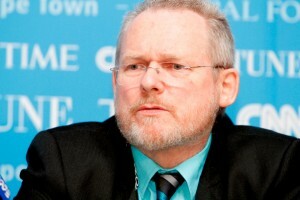 South African minister of trade and industry Rob Davies has said that South Africa has a strategic interest in extending BRICS cooperation to support Africa’s development agenda. The improved development prospects of Africa and the growing clout of the BRICS “offer enormous potential for building Africa-BRICS cooperation. This opportunity needs to be seized,” according to the minister. South Africa is generally viewed as the gateway to Africa for trade and investment links to this thriving continent. “The growing consumer power of Africa’s middle class and the high growth rates of Africa will make for a mutually beneficial relationship with BRICS in the coming decades,” Davies said. South Africa has developed a top 10 product and investment list for engagement with BRICS countries. The trade minister said the BRICS have changed Africa’s traditional trade and investment relations. “The BRICS countries are now becoming major players in the continent. Over the past ten years FDI flows from BRICS to Africa has increased consistently,” Davies noted. According to Standard Bank, BRICS-Africa trade will increase threefold, from $150 billion in 2010 to $530 billion in 2015. The Tripartite Free Trade Area (T-FTA) agreement signed by 26 African countries is also of keen interest to BRICS countries. The T-FTA will constitute an integrated market with a combined population of 600 million people and a total GDP of $1 trillion. South Africa was the newest member to join BRICS. BRICS membership is in line with South Africa’s foreign policy objectives of notably strengthening South-South relations. The present context of international relations and cooperation between Asian, African and Latin American countries – collectively known as countries of the South – holds strategic importance in global relations. BRICS leaders are considering the possibility of setting up a new development bank for mobilising resources for infrastructure and sustainable development projects in BRICS and other emerging economies and developing countries.